Hitched: Irene & Adam's Morton Arboretum Wedding 1 — Sweetchic Events, Inc. 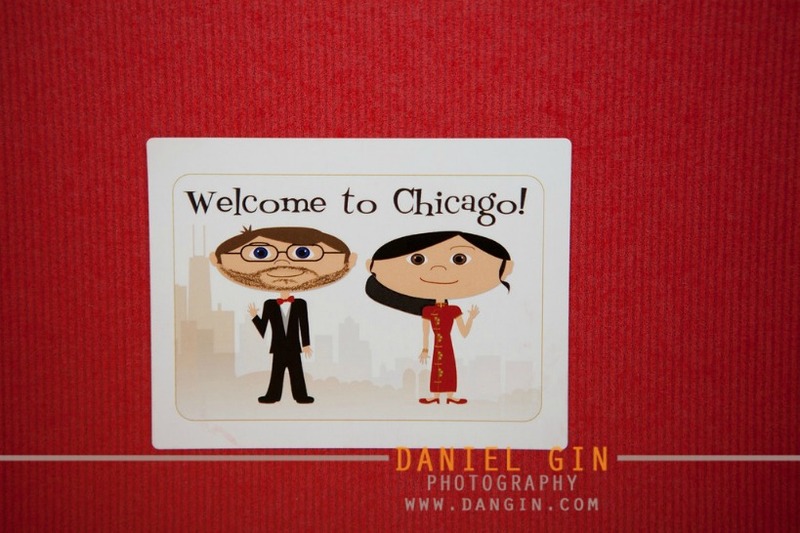 I am so excited to finally share Irene and Adam's amazing 11/11/11 wedding with the blog! They had so many fun ideas that were so uniquely them, it was truly a pleasure to bring all the pieces of the puzzle together. Irene & Adam's wedding was a two-pronged affair... first, there was their 11/11/11 intimate, family-only wedding ceremony, which took place AT 11AM! It was held at the beautiful Founder's Room at the Morton Arboretum and then the next day, the reception was held at Morton's Gingko Room. 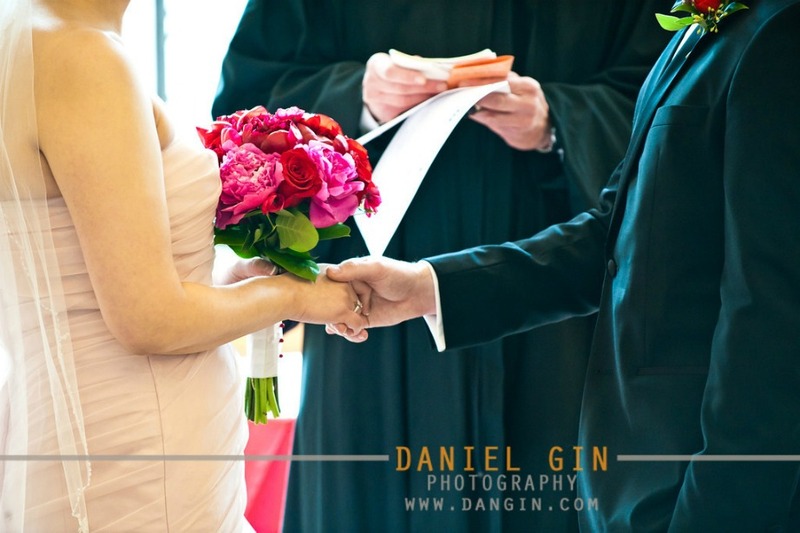 Here are some of my favorite getting ready and ceremony shots from 11/11/11 by the talented Dan of Dan Gin Photography. I think these are just about the cutest welcome bag cards I've seen! And it totally looks like them! This is the mini-itinerary that we put together for all of our couples and their bridal parties... pocket-size! Gorgeous bouquet featuring lush fuchsia and red peonies and red roses by Trudy's Flowers. Irene chose a stunning blush pink Vera Wang from David's Bridal gown... ruffles and tiers and chiffon, oh my! 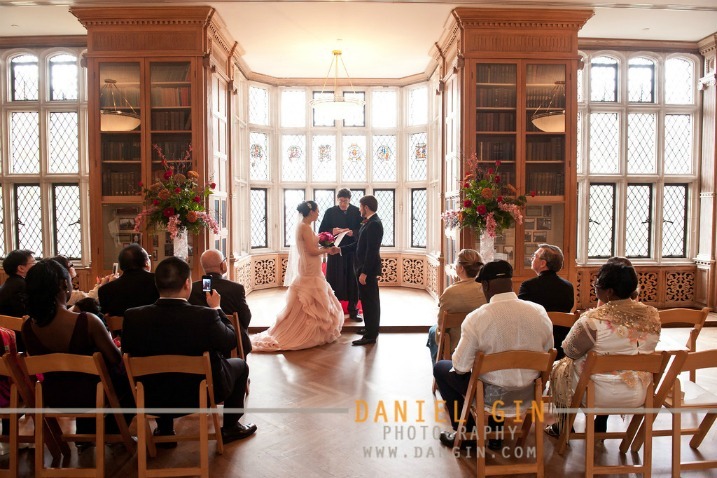 The intimate ceremony in the Founders Room for family only! Stay tuned for more photo goodness from their reception!